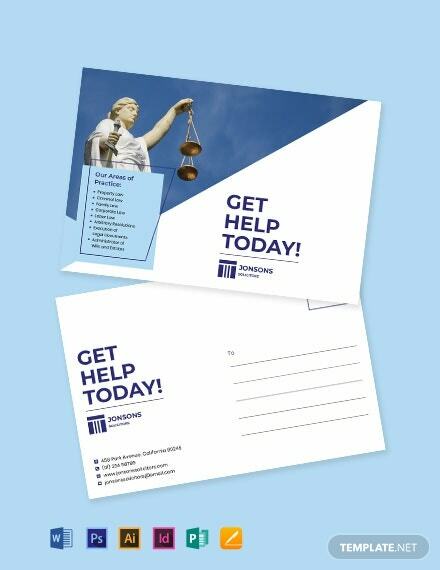 Advertise your law firm to the public in the most persuasive way possible by handing them a promotional tool like a tri-fold brochure. 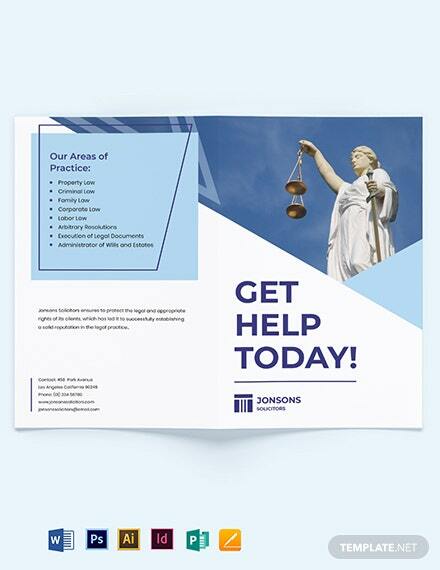 Make use of our Law Firm Marketing Tri-Fold Brochure that +More lets you add pertinent details of your law office with enough space to cram in all the necessary information. 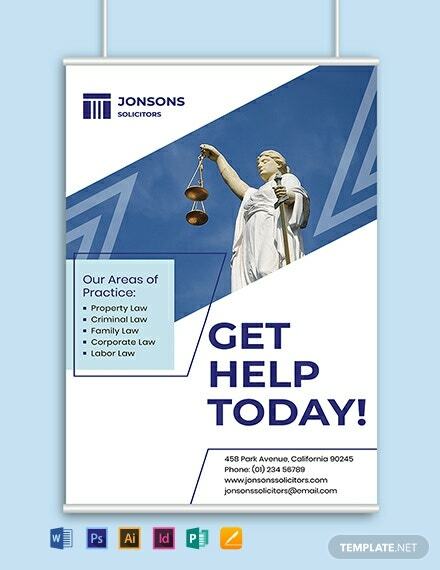 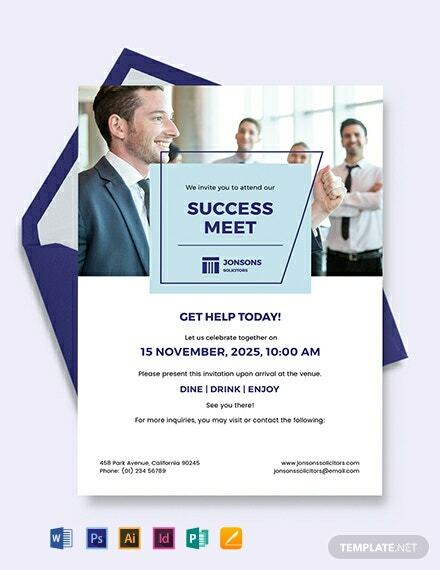 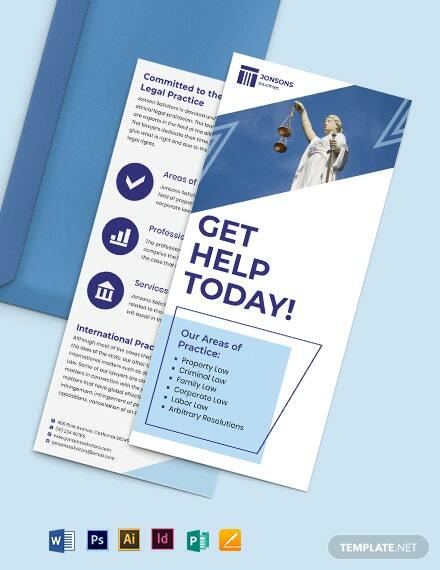 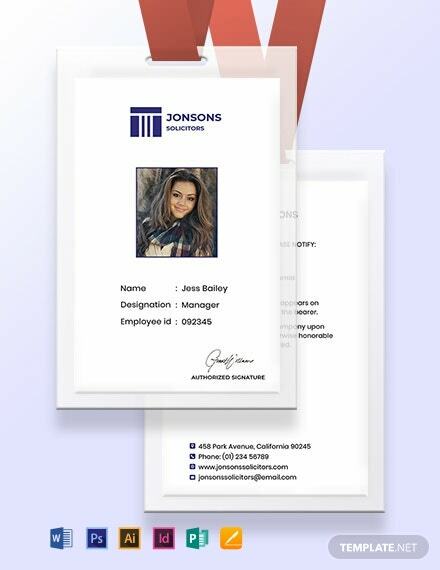 Educating people about your law services is not an easy feat, so a great-looking brochure with localized information is the way to go! 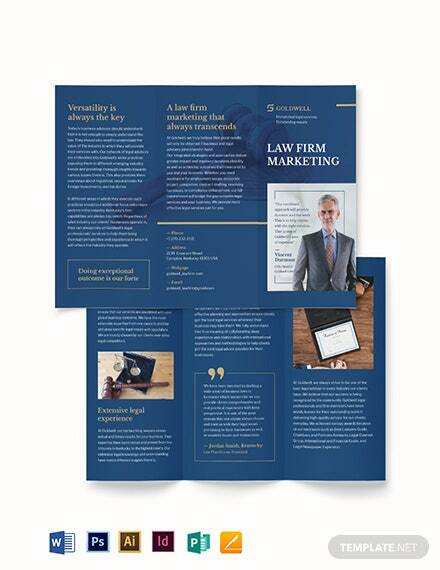 Fit for your law firm, this template has a fully customizable layout and content. 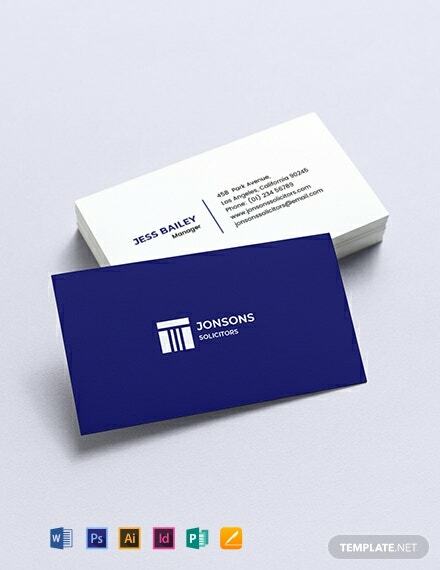 It comes with 300 DPI resolution, and CMYK color space, so you have unlimited options to modify its hues. 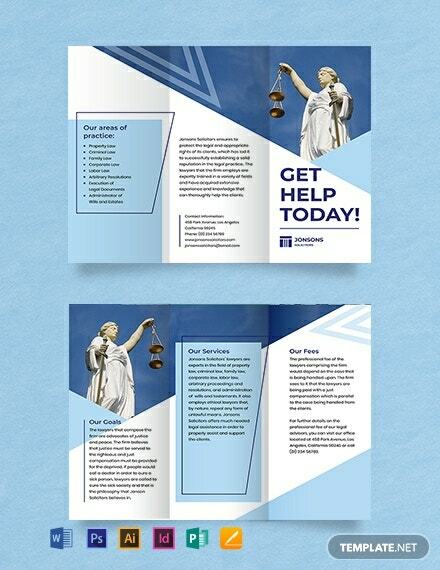 Get it in Adobe Photoshop, Adobe Illustrator, InDesign, MS Word, Apple Pages, and Publisher file formats! 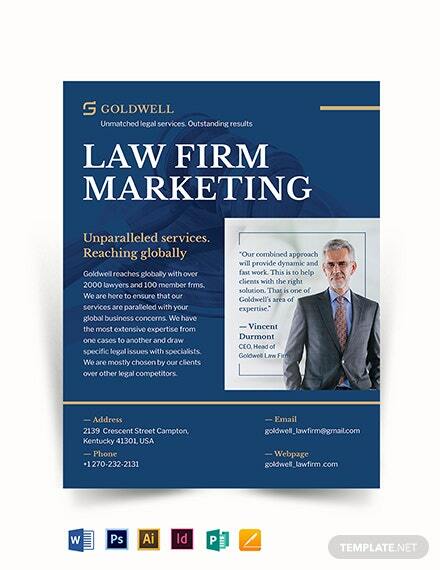 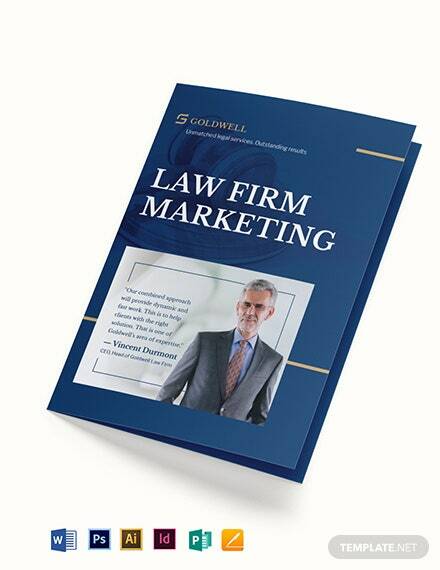 Download this Law Firm Marketing Tri-Fold Brochure template now!